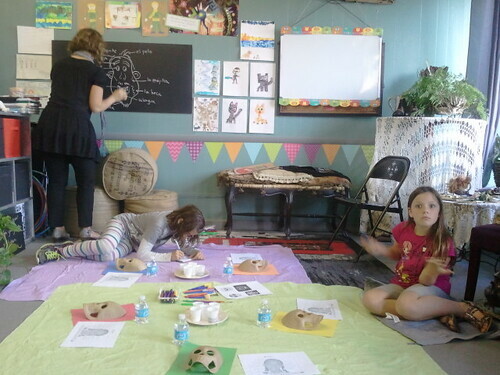 Mondays and Tuesdays are our most hectic days, because the girls and I all have to be in different places around town at about the same time or on overlapping schedules. 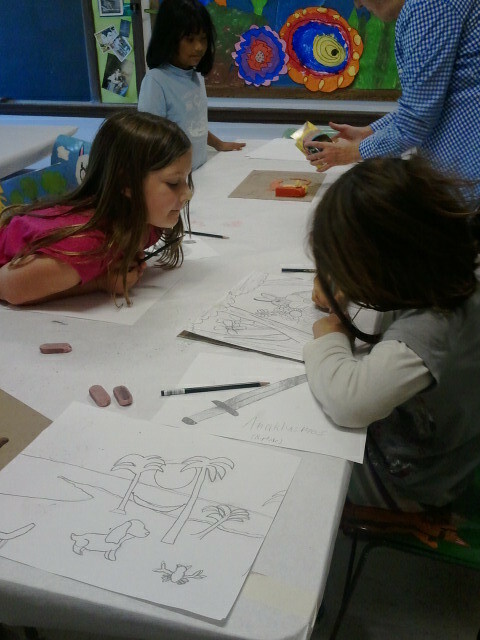 Tonight, S11 went to dance at Kathi’s (her Cecchetti studio) while O10 went to Spanish at the library. Fortunately, they are only 10 minutes away from each other, so I dropped S off early and waited at the library with O until she was done. Then O and I picked S up from dance in New Middletown and drove out to Canfield for Hamlet rehearsal. O did not go to guitar as she is recovering from a bit of the flu, and her teacher was having furnace trouble. We’ll resume guitar next week. Earlier in the day, the girls practiced their lines for MacBeth together before their rehearsal at Homeschool Players on Friday. 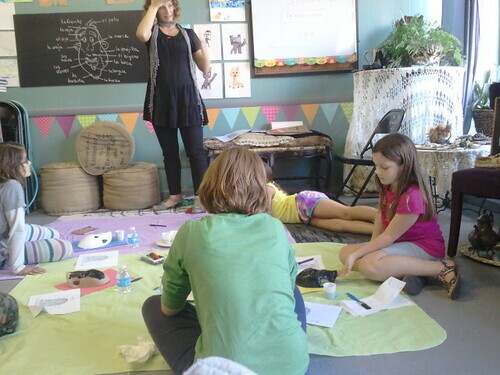 Today O9 had her weekly guitar lesson, then we went to the library for Spanish with Meagan. 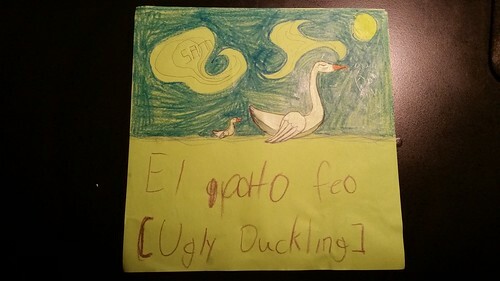 S11 drew a “pato feo”, or “Ugly Duckling”. 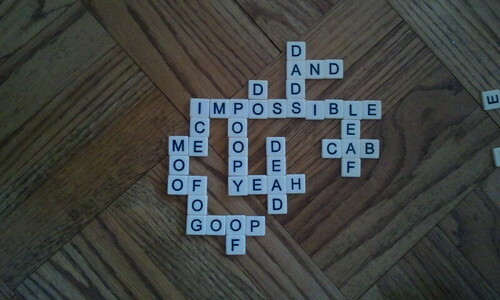 My mom is visiting this week and she brought her Bananagrams game at the kids’ request. They have been playing with it all day. 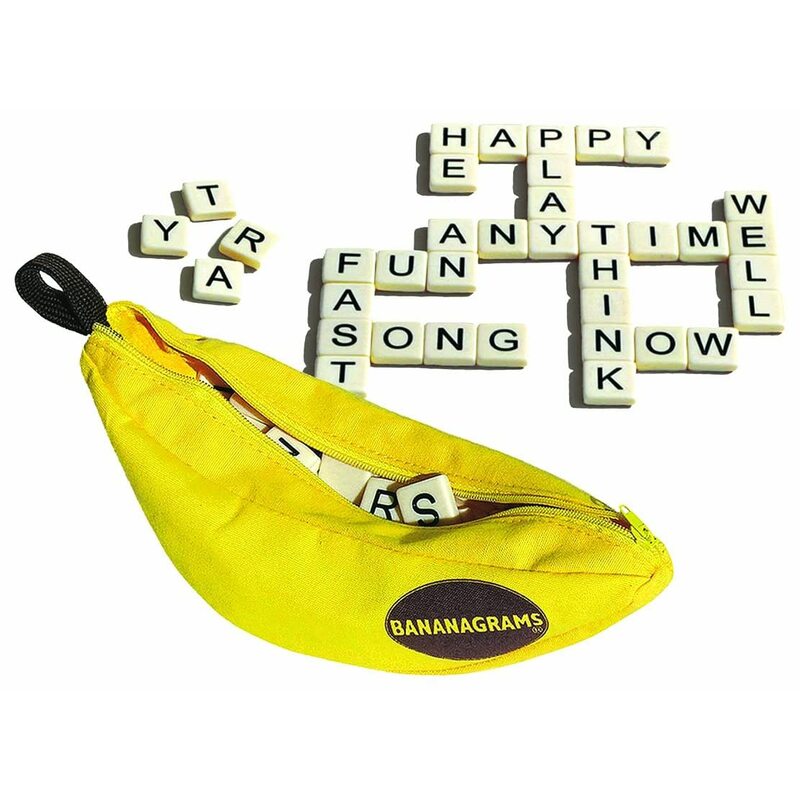 Bananagrams is a word game, kind of like dominos meets crossword puzzle. They did this all themselves. Pretty impressive! I think today’s work was the first time S7 has had to actually “work” at something. So far the activities we’ve done have all been easy for her and she’s breezed through them with minimal effort. 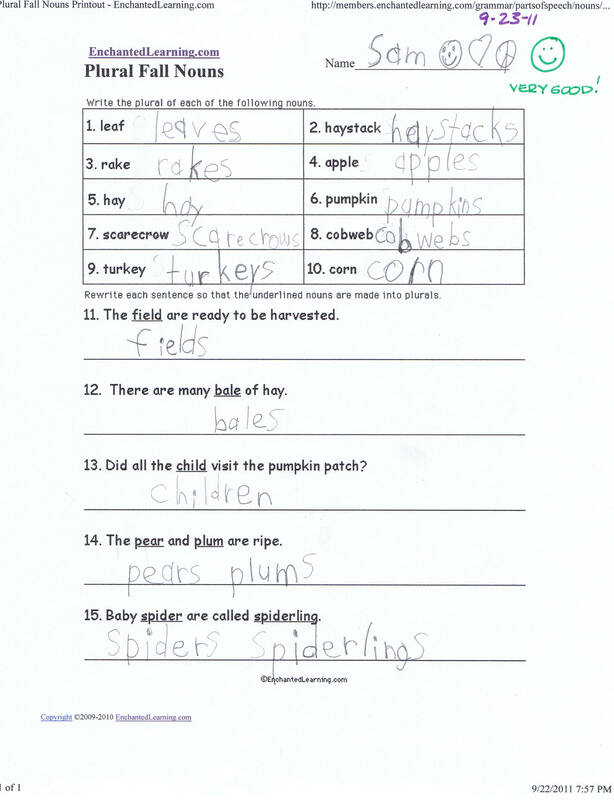 We used some Fall-themed worksheets, to celebrate the first day of autumn. 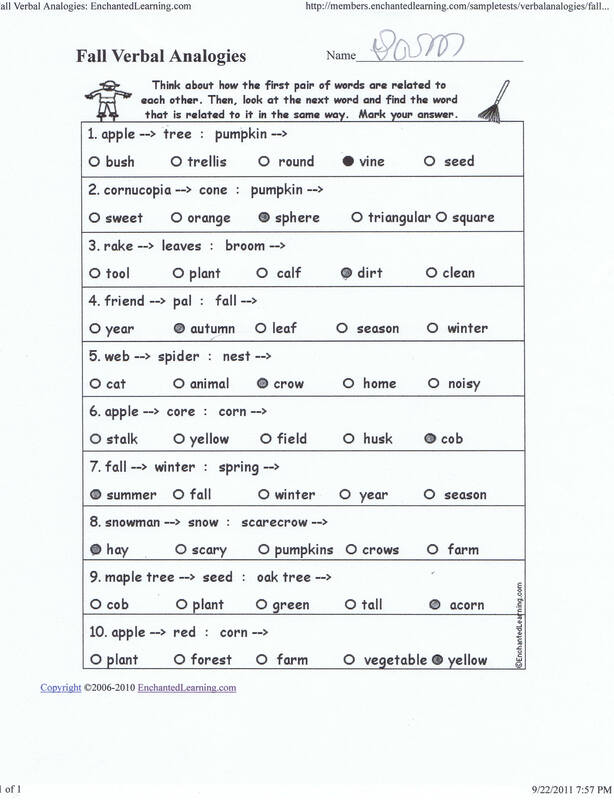 The first was a grammar sheet on forming plurals. It was interesting to see that some words (hay, corn) are the same for both singular and plural. While I helped O5 finish this worksheet, S7 moved on to a new challenge: alphabetizing. She has done some basic “which letter comes first” games but this was the first time she tried to order a list of words. 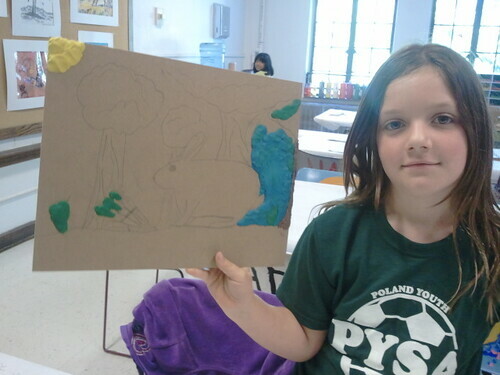 It took her quite a bit longer than most worksheets, but she managed to do it. Her only error was a careless copying mistake, which she corrected. 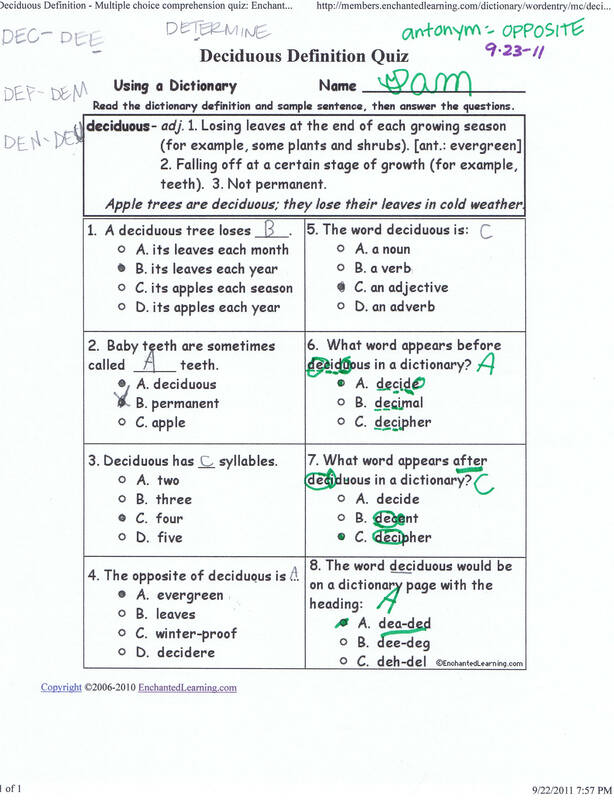 She also did a “definition quiz”, which used the word “deciduous” to learn about dictionary entries. 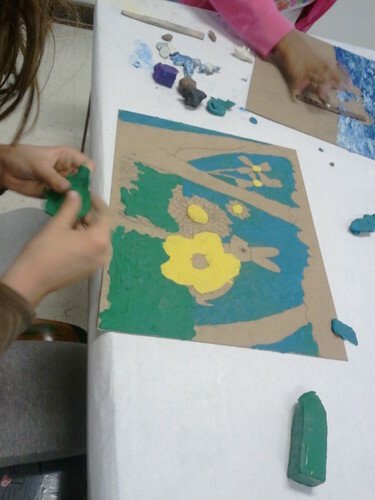 She did fairly well- again, most of her mistakes came more from rushing through the activity. (I can totally relate- I used to do this, too. Still do, in fact. ) 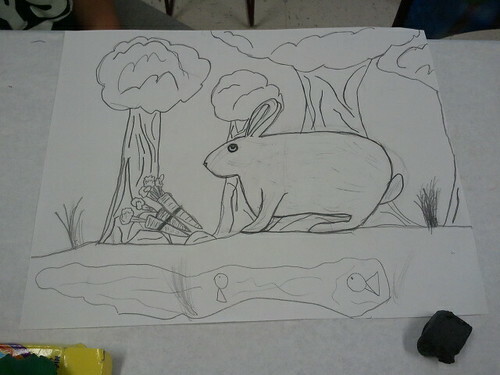 I did help her with the three questions on alphabetizing. We also discussed parts of speech (noun, adjective, verb, adverb) and some definitions, including antonym, syllable, and dictionary page heading. I figured this would be plenty of language work for one day, but S7 wanted to keep going. So I gave her an easier sheet with some coloring to keep her from getting discouraged. 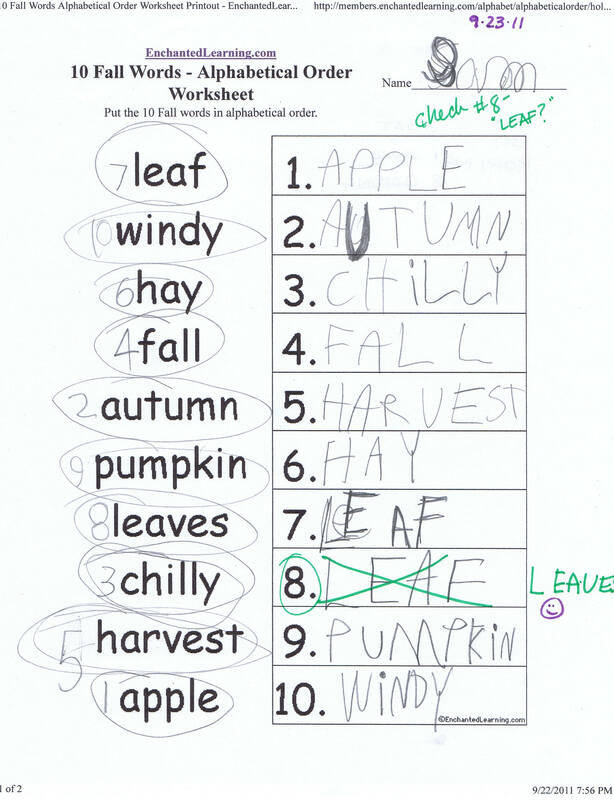 She had 10 fall-related pictures, each one with three possible spellings next to it. 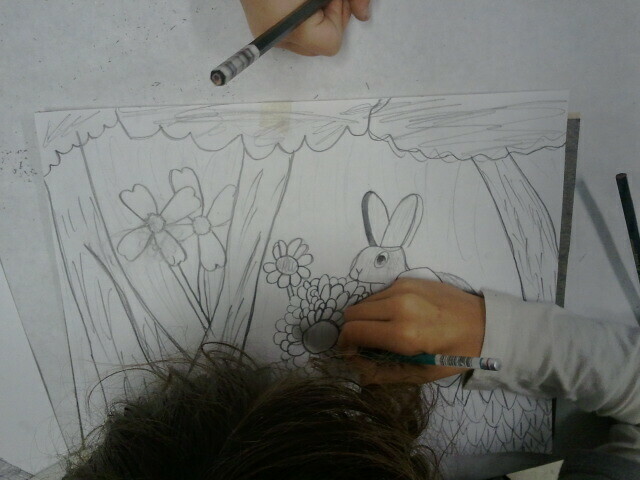 She had to color each picture and choose the correct spelling. Finally, we did a quick introduction to analogies. She really had a hard time with these until she got the hang of them, and then she seemed to figure them out without much trouble. 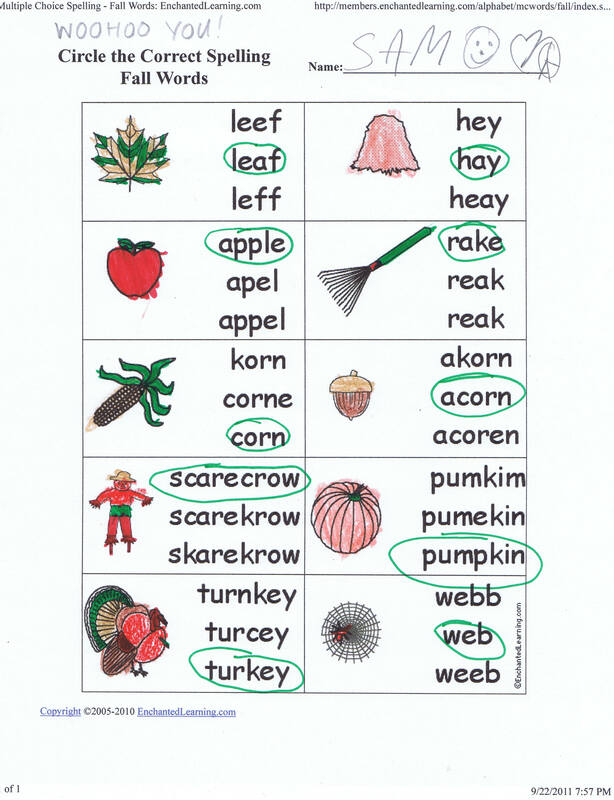 O5 did the plural sheet and colored some fall leaves on her essay paper, which she is going to use tomorrow to write about something fall-related.